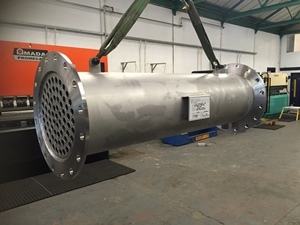 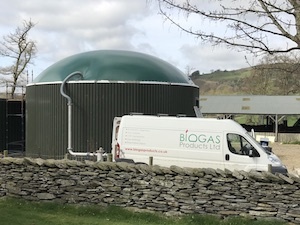 Provide process and mechanical design services as well as design, manufacture and install several pieces of equipment for a new anaerobic digester plant. 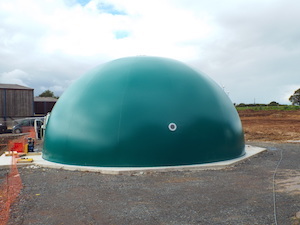 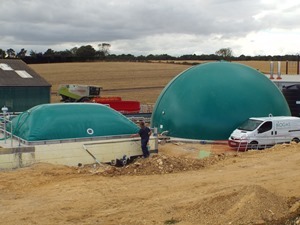 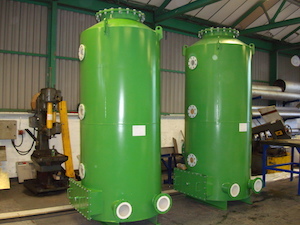 Biogas Products Ltd fitted out a new 10.75m diameter x 6m deep concrete tank digester. 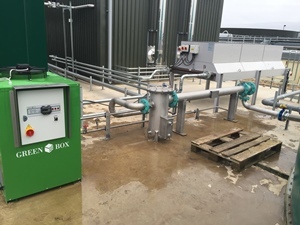 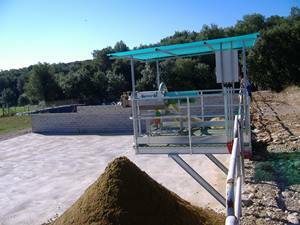 We installed a single mechanical propeller mixer to provide adequate mixing of the digester contents. 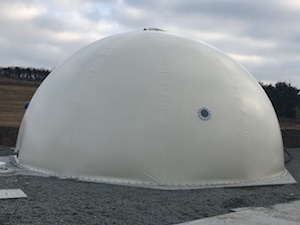 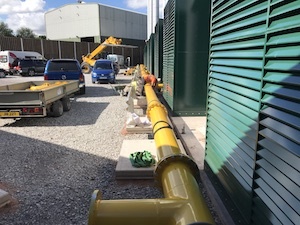 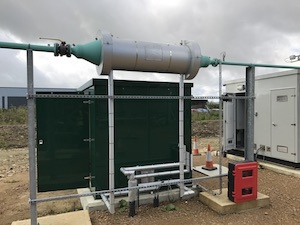 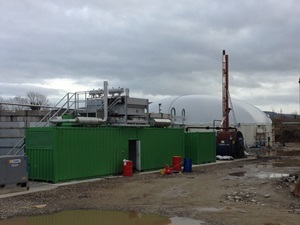 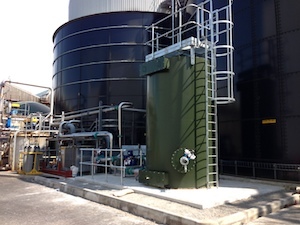 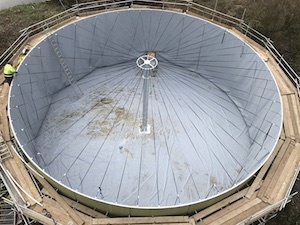 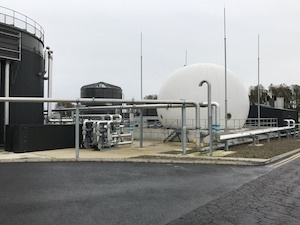 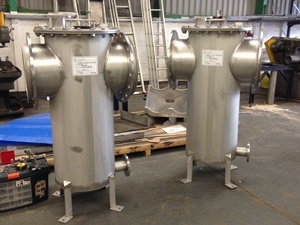 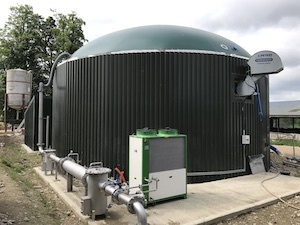 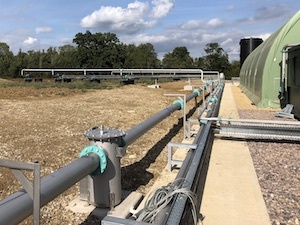 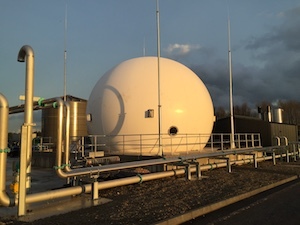 A double membrane gas holder, complete with lightning protection, was fitted to the top of the digester providing gas storage and a 10mbar operating system. 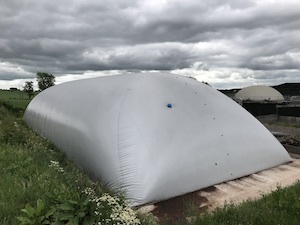 We made a stainless steel centre post, complete with straps and support netting, to prevent the gas dome from falling into the tank when deflated. 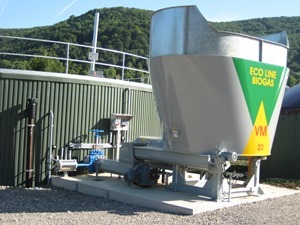 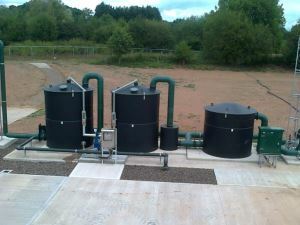 We also designed, manufactured and installed a biogas cooling system and a standby hot water boiler package. 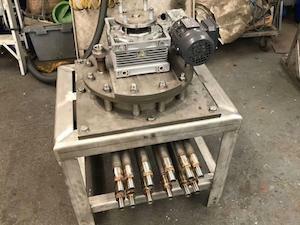 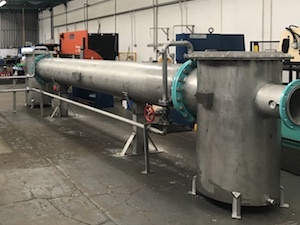 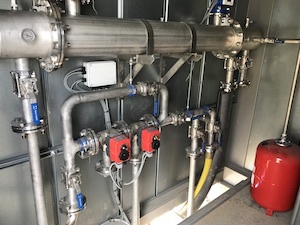 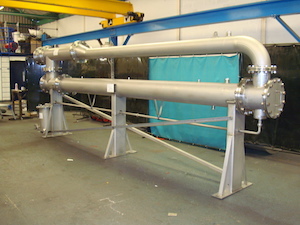 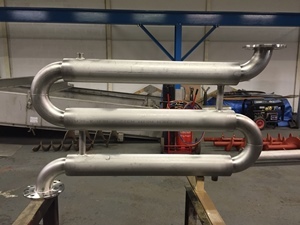 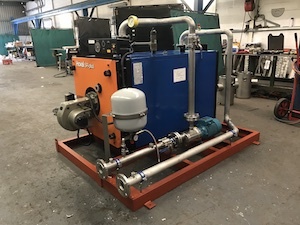 The hot water tube/shell heat exchanger, situated in the end of the CHP kiosk, picked up heat from the engine and distributed hot water to various locations. 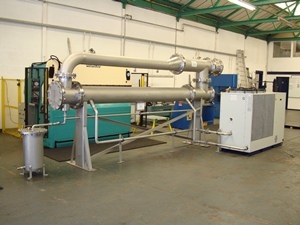 A standby hot water boiler system provides back up hot water when required. 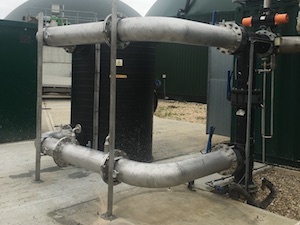 The hot water is pumped through 6no heating rings, which we manufacted in 304SS, to heat the digester contents. 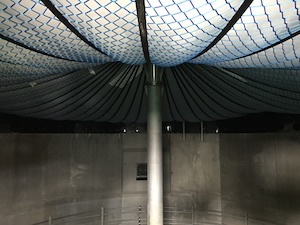 The heating manifold on the outside of the digester incorporated an automatic bypass and a heat meter. 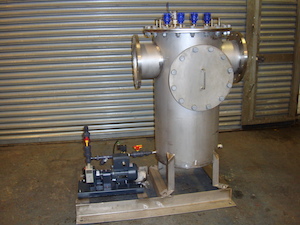 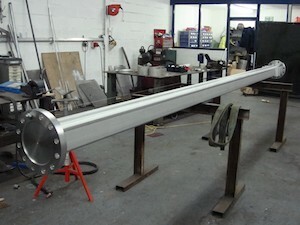 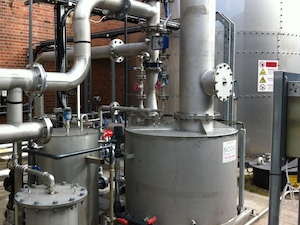 Biogas is cooled through a tube/shell heat exchanger to remove water before delivery to the CHP engine.